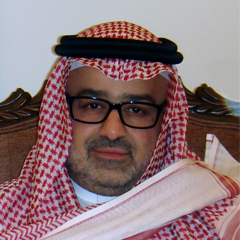 Dr. Qurban has been an Assistant Professor at the Department of Geosciences, at CPG, KFUPM, and Manager of Marine Studies Section, Center for Environment and Water, Research Institute, KFUPM since 2010. Between 2003–08 he was a Research Assistant at the National Oceanographic Center, Southampton, UK. During the period between 1996 and 2000, he was a Research Assistant at Harbor Branch Oceanographic Institution, Fort Pierce, Florida, USA. From 1988-96 he served as a Scientist at the Center for Environment and Water, Research Institute, KFUPM, KSA. Ph.D., Oceanography, University of Southampton, UK. 2009. M.S., Marine Sciences, Florida Institute of Technology, Melbourne, USA. 2000. B.S., Aquatic Wealth Development, King Faisal University, KSA, 1988. Nutrient uptake potentiality of phytoplankton, motile microalgae and their estimation of primary productivity. Biogeochemical cycle of nutrients related to fisheries ecosystem through understanding nitrification/denitrification process, ecosystem’s nutrient budget. Identification, size fractionation, and culture of phytoplankton, benthic microalgae. Transplant techniques for sapling mangrove trees. The biology and ecology of seagrass. Invertebrates population dynamic and histological techniques. Environmental impact assessment for seawater. Oil Spill Remediation for Habitats and Resources in the Arabian Gulf. John C. McCain, A. Qurban Lennon D.J. (1992). Remediation of Salt Marshes after the 1991 Gulf Oil Spill. The Arabian Journal for Science and Engineering. 18(2), 257-267. A. Qurban, Hydes, D.J., Lavin, A. M., Gonzlez-Pola, C. M., Kelly-Gerreyn, B. A., Miller, P. 2004 Sustained “Ferry-Box” Ship of Opportunity observations of physical and biogeochemical conditions across the Bay of Biscay ICES Annual Science Conference Vigo Spain 2004, paper no. CM 2004/N: 09 19pp CD ROM publication. Kelly-Gerreyn, B. A., A. Qurban, Hydes, D. J., Miller, P., Fernand, L. 2004 Coupled “FerryBox” Ship of Opportunity and satellite data observations of plankton succession across the European Shelf Sea and Atlantic Ocean ICES Annual Science Conference Vigo Spain 2004, paper no. CM 2004/P: 28 21pp CD ROM publication. A. Qurban, Hydes, D. J., Kelly-Gerreyn, B. A., Holligan, P. and Miller, P. (2005). Variation in phytoplankton speciation and growth due to hydrodynamic and chemical drivers between coastal and open ocean waters: use of data from a ‘FerryBox’ ship of opportunity. European Operational Oceanography: Present and Future, Brest, France, EuroGOOS Office. Bargeron, C. P., Hydes, D. J., Woolf, D. K., Kelly-Gerreyn, B. A. and A. Qurban, (2006). A regional analysis of new production on the Northwest European shelf using oxygen fluxes and a ship-of-opportunity. Estuarine, Coastal and Shelf Science, 69: 478-490. Received “Distinguished Service Award Specialized Staff” KFUPM 2001/2002. Received “Excellence in Leading a Research Project” RI/KFUPM 2011/2012. Received “Excellence in Leading a Research Project” RI/KFUPM 2014/2015. Received “Excellence in Applied Research Award” RI/KFUPM 2015/2016.